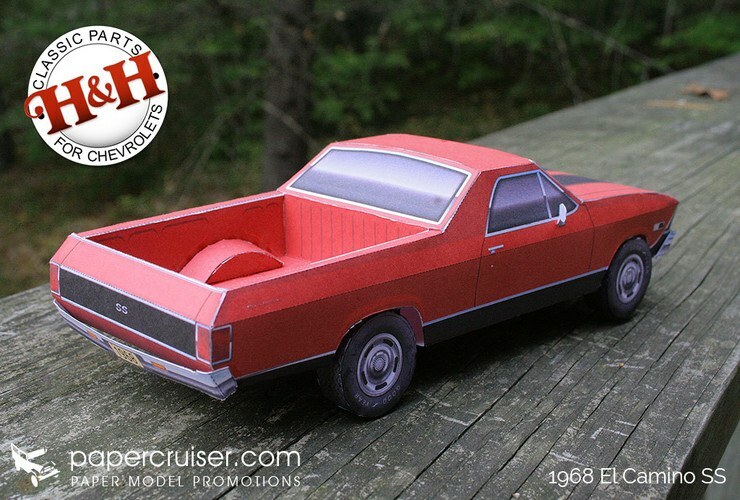 One of the great all-time automotive questions: Is the El Camino a car, or is it a truck? The world may never know. What we do know is that it's a classic. Built as a competitor to the already established Ford Ranchero, the first El Camino was sold on October 16, 1958. 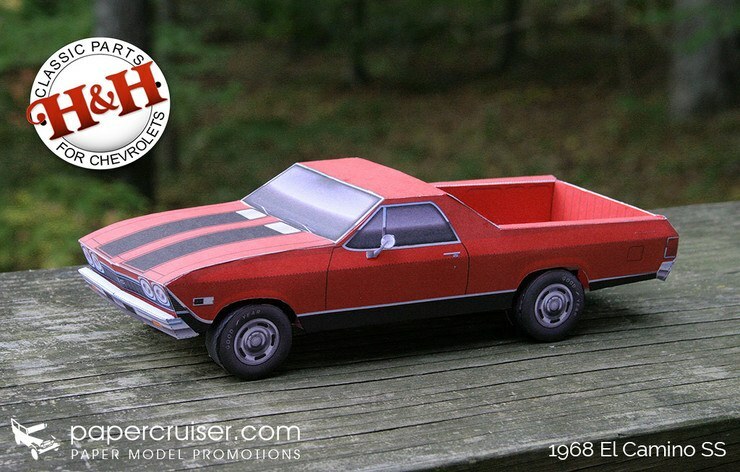 In 1968, an SS package and 396 engine made the El Camino both a workhorse and an iconic muscle car. 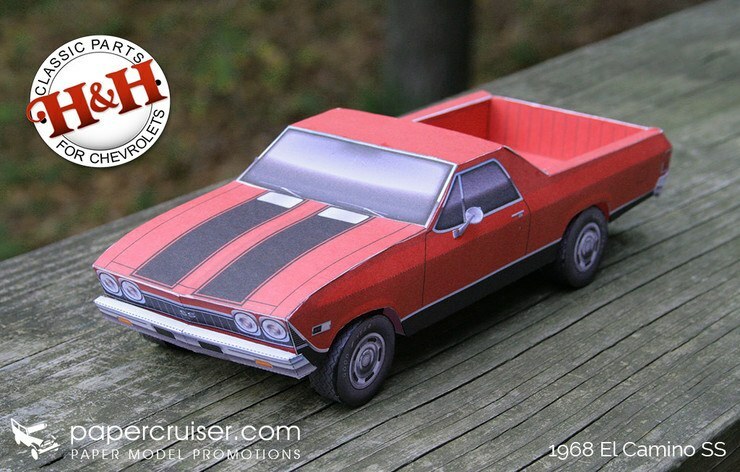 While Chevy sacked the El Camino in 1987, it enjoys a cult-like status today. Rusty models are restored, and the few left with low mileage are snatched up. If you're anything like us, a 1968 El Camino SS 396 - of which only 5,190 were made - is at the top of your classic car acquisition list. Unfortunately, the real thing is pretty pricey. That's why we're offering an alternative: a paper version of the classic rig. The best part? All you need are a few basic craft supplies: paper, a printer, glue, a hobby knife, and this handy PDF. Print all pages on heavy card stock. This will help uphold the model's integrity. Grab a hobby knife (X-Acto knives are always solid) and a cutting pad and carefully slice out all the parts. Color the edges of the paper with a black marker to create the tires, and use a red marker to touch up the edges of the body. If your model doesn't come out looking exactly like Jesse's, don't fret. He's a pro who's been doing this a while. Just print out another page and try again! It's all about having fun anyway. We'd love to see your skills, so feel free to share your model with us on Facebook!